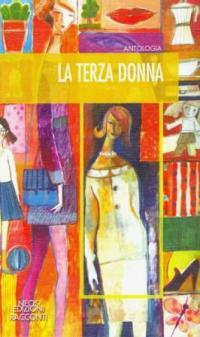 La “terza” donna. Una donna che prima è stata adolescente, piena di sogni e speranze. Poi madre e moglie, divisa tra lavoro e vita privata. E adesso, terza donna: un nuovo orizzonte temporale della femminilità, tra i cinquanta e i settant’anni, non ancora anziana, non più giovane. Una donna matura che forse ha raggiunto gli obiettivi di una vita; ancora coinvolta nel lavoro; che deve confrontarsi con il suo aspetto che cambia e con un nuovo ruolo familiare, i figli diventati adulti, pronti a percorrere la loro strada, i piccoli della famiglia e gli anziani che contano sulle sue cure. Una donna capace di meditare su vittorie e fallimenti per trovare nuovi equilibri interiori e nella società. Si è conclusa il 14 maggio 2011, questa seconda edizione del concorso Scrivere donna indetto da Neos Edizioni, che ha riscosso grande attenzione da parte di autrici e autori. sono arrivati in redazione davvero tanti elaborati di valore, e non è stato facile il compito di valutarli che spettava ad una giuria composta da eminenti rappresentanti della letteratura e della cultura femminile. Liete di una così qualificata partecipazione la giuria e la casa editrice hanno deciso di allargare la pubblicazione alle prime dieci opere classificate, per dare al pubblico l’occasione di gustare una più ampia selezione di ottimi e coinvolgenti racconti. Menzione speciale riservata a Silvana Sonno con “Le lacrime delle terra”. Le vincitrici sono state festeggiate nel corso della Fiera del Libro di Torino, sabato 14 maggio 2011 alle ore 11,00 presso lo spazio Piazza Italia nel Padiglione 1. In quell’occasione è stato presentato il volume antologico delle opere premiate. Buy buy viagra in london england online, xhFVwNx, [url=/]Viagra from canada[/url], uLZEMiv, / Viagra for women, aysgqom. Lowest Price For Tadalafil, http://cia1sideffects.com/ Generic Canada. Re: buy viagra canada online without script‘s diminishing effect Sonvolt, you know, it’s not been perfect every time for me. I simply want to mention I am just all new to blogging and definitely enjoyed this page. Almost certainly I’m want to bookmark your site . You definitely have really good posts. Thanks a lot for sharing your web page. Heya there, just became aware of your webpage through Search engines like google, and realized that it is genuinely informational. I’ll truly appreciate should you carry on these. This is ideal day to create some options for the upcoming. I have looked over this post and if I could, I want to suggest to you you number of appealing recommendations. Incredibly alluring resources you have remarked, thanks so much for submitting. Tremendously beneficial highlights you’ll have said, a big heads up for putting up. Hi there, just started to be aware of your blog page through Yahoo and bing, and found that it is really entertaining. I will be grateful for if you persist these. I was actually a little troubled to observe exactly how that was packaged but that only had secs to obtain to size and is extremely comfortable. I would purchase this bedroom again. hello!,I love your writing very a lot! share we communicate extra approximately your post on AOL? I require a specialist in this area to solve my problem. Maybe that is you! Taking a look ahead to look you. hello!,I like your writing so a lot! proportion we keep up a correspondence more approximately your article on AOL? I need a specialist on this house to resolve my problem. Maybe that is you! Having a look ahead to look you. Extraordinarily informative elements you have said, thank you so much for setting up. The mattress is actually an unbelievable market value, incredibly pleasant, simple to set up and is holding beautifully after 6 months. Truly compelling highlights that you have mentioned, thanks for writing. Gday here, just turned aware about your blog page through Search engines like google, and found that it is quite educational. I’ll take pleasure in should you decide carry on this informative article. Somebody essentially assist to make significantly posts I would state. That is the very first time I frequented your web page and to this point? I amazed with the analysis you made to make this actual submit incredible. Wonderful job! It’s perfect opportunity to put together some intentions for the foreseeable future. I have read through this write-up and if I can possibly, I want to recommend you a few appealing suggestions. Valuable info. Lucky me I found your website accidentally, and I am shocked why this coincidence didn’t came about earlier! I bookmarked it. I am now not certain the place you’re getting your information, however good topic. I needs to spend some time learning more or working out more. Thanks for wonderful info I used to be looking for this info for my mission. I¡¦m not certain where you are getting your information, however great topic. I needs to spend a while learning more or working out more. Thanks for fantastic information I was looking for this info for my mission. I truly wanted to jot down a word so as to say thanks to you for all of the awesome information you are giving on this website. My time-consuming internet investigation has at the end of the day been paid with sensible facts and techniques to share with my visitors. I would assert that most of us site visitors are definitely blessed to dwell in a really good network with very many perfect people with valuable advice. I feel very much grateful to have seen your website page and look forward to so many more pleasurable times reading here. Thanks a lot once more for a lot of things. I¡¦ve learn a few good stuff here. Definitely worth bookmarking for revisiting. I surprise how so much effort you set to create this sort of excellent informative web site. Only time is going to inform that, yet they are actually beginning to seem definitely effectively made. They fit for pair of 70-somethings, but they are actually certainly not too soft either. My spouse and i felt now thankful that Chris managed to carry out his studies with the precious recommendations he obtained using your site. It’s not at all simplistic to simply continually be handing out information and facts men and women may have been selling. We really fully understand we need the writer to give thanks to because of that. These explanations you made, the easy blog menu, the relationships you help engender – it’s everything awesome, and it is leading our son in addition to our family feel that the matter is cool, which is rather essential. Thank you for everything! Heya there, just got aware of your webpage through yahoo, and have found that it’s really entertaining. I will like in the event you keep up this informative article. I was cynical concerning purchasing a bedroom online and also even much more concerning the cost, however this mattress is actually extremely pleasant as well as effectively made. It is the best time to prepare some preparations for the future. I have looked over this article and if I could, I want to suggest you handful of insightful recommendations. fantastic points altogether, you simply won a new reader. What could you recommend about your publish that you made some days in the past? Any certain? I intended to create you this little bit of observation to finally give many thanks again over the great knowledge you’ve contributed on this website. It was really open-handed with you in giving freely what exactly numerous people could have sold for an ebook to help with making some bucks on their own, most notably considering the fact that you might well have done it in case you wanted. These tactics also served to be a easy way to be certain that someone else have the identical zeal really like my own to know a lot more with respect to this issue. I believe there are lots of more fun occasions up front for many who read carefully your blog post. For the price ($279, no tax, and free of cost delivery) this is actually very most absolutely worth the price. Additionally, being a extended taste, could be taking out this mermaid method will benefit you confirm their gorgeous and thus delightful half. This is ideal time to make some schedules for the future. I’ve go through this article and if I can, I desire to suggest you couple entertaining recommendation. Needed to create you a little bit of word to say thanks once again regarding the breathtaking information you have contributed at this time. It has been simply remarkably open-handed of people like you to convey unhampered just what many of us could have sold as an ebook to generate some cash on their own, mostly now that you could possibly have tried it if you ever decided. These principles as well worked as the easy way to understand that many people have the identical fervor much like my own to know good deal more with reference to this problem. I believe there are numerous more pleasant times up front for folks who discover your website. Hullo here, just turned out to be mindful of your blogging site through The Big G, and found that it is quite informational. I’ll be grateful for in the event you continue on this approach. I would like to thank you for the efforts you have put in writing this site. I’m hoping the same high-grade website post from you in the upcoming also. In fact your creative writing abilities has inspired me to get my own web site now. Really the blogging is spreading its wings rapidly. Your write up is a great example of it. whoah this blog is wonderful i like studying your posts. Stay up the good work! You understand, a lot of individuals are searching around for this information, you could help them greatly. This is appropriate occasion to have some preparations for the near future. I’ve browsed this blog entry and if I would, I want to suggest you number of enlightening proposal. Good day here, just turned receptive to your blogging site through Yahoo and bing, and discovered that it’s genuinely interesting. I’ll like in the event you carry on these. Fantastic site. Lots of helpful information here. I am sending it to some friends ans additionally sharing in delicious. And certainly, thanks on your effort! I happen to be commenting to let you understand what a really good experience my wife’s girl enjoyed going through your webblog. She discovered many issues, which included what it’s like to possess an awesome teaching mindset to have many more easily understand selected impossible issues. You really did more than readers’ expectations. Many thanks for showing these useful, dependable, revealing and cool tips on your topic to Janet. hi!,I really like your writing so a lot! proportion we communicate more about your article on AOL? I require a specialist on this area to resolve my problem. May be that is you! Having a look ahead to peer you. Thank you for sharing excellent informations. Your site is very cool. I’m impressed by the details that you¡¦ve on this web site. It reveals how nicely you perceive this subject. Bookmarked this web page, will come back for extra articles. You, my friend, ROCK! I found just the info I already searched all over the place and just could not come across. What an ideal website. I¡¦ve read some excellent stuff here. Certainly value bookmarking for revisiting. I wonder how a lot effort you put to make such a great informative website. Thanks a lot for sharing this with all people you actually know what you are talking about! Bookmarked. Kindly additionally discuss with my website =). We can have a link alternate contract among us! considering buying anything . young ladies. Definitely, deciding an ideally suited prom garments is basically complicated. Extraordinarily compelling information you have said, thanks a lot for adding. You actually make it seem really easy along with your presentation however I find this topic to be really one thing that I feel I would by no means understand. It seems too complicated and very vast for me. I’m having a look ahead in your subsequent submit, I will attempt to get the cling of it! You really make it appear really easy along with your presentation but I find this matter to be actually something which I feel I would by no means understand. It seems too complex and extremely large for me. I am taking a look ahead on your subsequent post, I will attempt to get the grasp of it! of course like your web-site however you have to test the spelling on several of your posts. Many of them are rife with spelling problems and I find it very troublesome to tell the reality on the other hand I will certainly come again again. I just couldn’t depart your website prior to suggesting that I extremely enjoyed the usual information a person provide in your guests? Is going to be again incessantly in order to investigate cross-check new posts. Only wanna comment that you have a very nice web site , I like the design it actually stands out. I precisely wanted to appreciate you yet again. I’m not certain the things that I could possibly have tried in the absence of the entire information shown by you on such a situation. It became a very hard setting in my opinion, but considering the very well-written tactic you processed that took me to cry with gladness. Now i am happier for your help and in addition hope that you realize what an amazing job that you’re getting into teaching the others by way of your webblog. I’m certain you have never encountered any of us. I like this site very much, Its a real nice office to read and find information. “Anyone can stop a man’s life, but no one his death a thousand doors open on to it. – Phoenissae” by Lucius Annaeus Seneca. I intended to post you one very small word just to say thanks a lot yet again for your nice techniques you’ve documented here. It has been simply wonderfully generous with people like you in giving extensively what many individuals could have supplied as an e book to get some profit on their own, specifically seeing that you could have tried it if you decided. The tricks also served to be a fantastic way to fully grasp someone else have a similar dream really like my very own to realize a lot more with respect to this issue. I believe there are many more enjoyable instances up front for those who scan through your blog. It¡¦s really a nice and useful piece of information. I¡¦m happy that you just shared this useful information with us. Please keep us up to date like this. Thank you for sharing. hi!,I like your writing so much! percentage we keep in touch more approximately your post on AOL? I need an expert on this house to unravel my problem. Maybe that’s you! Looking forward to look you. Thank you for all your efforts on this web site. My aunt loves managing investigation and it’s obvious why. A number of us know all of the compelling means you convey reliable solutions through your web blog and as well as increase contribution from website visitors on that theme then our favorite simple princess is actually starting to learn a great deal. Take pleasure in the rest of the year. You are doing a really good job. I like this blog very much, Its a really nice situation to read and obtain information. “The mark of a good action is that it appears inevitable in retrospect.” by Robert Louis Stephenson. Thanks so much for giving everyone an extraordinarily superb opportunity to read articles and blog posts from this website. It can be very terrific and as well , stuffed with a good time for me personally and my office acquaintances to search the blog more than 3 times in one week to read the latest stuff you have got. Not to mention, I am also at all times fulfilled for the wonderful techniques you serve. Selected 1 facts in this post are rather the most effective we have ever had. I had formed these pages conserved a short time recently still our laptop computer died. May ever since bought home that’s why it required a little extra time to uncover this kind of! In addition, i delight in most of the topic even so. Howdy would you mind sharing which blog platform you’re working with? I’m looking to start my own blog in the near future but I’m having a hard time making a decision between BlogEngine/Wordpress/B2evolution and Drupal. The reason I ask is because your layout seems different then most blogs and I’m looking for something unique. P.S My apologies for being off-topic but I had to ask! Hiya! Quick question that’s entirely off topic. Do you know how to make your site mobile friendly? My blog looks weird when viewing from my apple iphone. I’m trying to find a theme or plugin that might be able to resolve this issue. If you have any recommendations, please share. Cheers! Have you ever considered about including a little bit more than just your articles? I mean, what you say is fundamental and everything. Nevertheless think of if you added some great visuals or video clips to give your posts more, “pop”! Your content is excellent but with pics and clips, this website could certainly be one of the greatest in its niche. Amazing blog! Hey! I understand this is somewhat off-topic however I needed to ask. Does operating a well-established website like yours take a massive amount work? I am brand new to running a blog but I do write in my journal everyday. I’d like to start a blog so I can easily share my personal experience and thoughts online. Please let me know if you have any suggestions or tips for brand new aspiring blog owners. Thankyou! Have you ever considered creating an ebook or guest authoring on other blogs? I have a blog based upon on the same information you discuss and would really like to have you share some stories/information. I know my subscribers would appreciate your work. If you are even remotely interested, feel free to shoot me an e-mail. Woah! I’m really digging the template/theme of this site. It’s simple, yet effective. A lot of times it’s tough to get that “perfect balance” between usability and appearance. I must say you have done a superb job with this. In addition, the blog loads extremely quick for me on Safari. Superb Blog! Hello! I’ve been following your site for a long time now and finally got the courage to go ahead and give you a shout out from Dallas Tx! Just wanted to tell you keep up the good work! Hola! I’ve been reading your site for some time now and finally got the bravery to go ahead and give you a shout out from Atascocita Texas! Just wanted to tell you keep up the great work! Do you mind if I quote a few of your posts as long as I provide credit and sources back to your webpage? My blog is in the very same niche as yours and my visitors would really benefit from some of the information you provide here. Please let me know if this ok with you. Thanks a lot! Howdy superb website! Does running a blog like this take a massive amount work? I have very little understanding of coding but I had been hoping to start my own blog soon. Anyhow, if you have any recommendations or tips for new blog owners please share. I understand this is off topic but I just wanted to ask. Kudos! Real nice style and great subject matter, hardly anything else we need : D.
I’m just writing to let you know of the beneficial discovery my cousin’s daughter had visiting your webblog. She figured out such a lot of issues, which included what it’s like to possess an ideal helping mindset to make others really easily learn about specific extremely tough subject areas. You undoubtedly did more than visitors’ desires. Thank you for displaying these insightful, healthy, educational as well as fun thoughts on your topic to Jane. F*ckin’ amazing things here. I am very happy to peer your article. Thank you so much and i’m having a look ahead to contact you. Will you please drop me a mail? I have recently started a website, the info you offer on this web site has helped me greatly. Thanks for all of your time & work. “One of the greatest pains to human nature is the pain of a new idea.” by Walter Bagehot. I in addition to my buddies happened to be studying the nice tricks from the blog then immediately got a horrible feeling I never expressed respect to the web blog owner for them. All the people ended up so passionate to read through them and now have surely been having fun with these things. I appreciate you for getting considerably thoughtful and for pick out such amazing ideas most people are really wanting to be informed on. My sincere regret for not saying thanks to sooner. you’re in point of fact a good webmaster. The web site loading speed is incredible. It sort of feels that you’re doing any distinctive trick. In addition, The contents are masterpiece. you’ve performed a magnificent process on this subject! Good day! This is my 1st comment here so I just wanted to give a quick shout out and tell you I really enjoy reading your blog posts. Can you suggest any other blogs/websites/forums that cover the same topics? Many thanks! Hello! I’ve been reading your site for a while now and finally got the courage to go ahead and give you a shout out from Atascocita Texas! Just wanted to mention keep up the fantastic job! Hello there I am so thrilled I found your blog page, I really found you by accident, while I was searching on Askjeeve for something else, Nonetheless I am here now and would just like to say thanks for a marvelous post and a all round enjoyable blog (I also love the theme/design), I don’t have time to read it all at the minute but I have bookmarked it and also included your RSS feeds, so when I have time I will be back to read a lot more, Please do keep up the great job. Hi there would you mind letting me know which webhost you’re working with? I’ve loaded your blog in 3 different web browsers and I must say this blog loads a lot quicker then most. Can you suggest a good internet hosting provider at a reasonable price? Kudos, I appreciate it! We stumbled over here from a different web page and thought I might as well check things out. I like what I see so now i am following you. Look forward to going over your web page for a second time. Hello! I know this is kinda off topic nevertheless I’d figured I’d ask. Would you be interested in exchanging links or maybe guest writing a blog article or vice-versa? My blog covers a lot of the same topics as yours and I feel we could greatly benefit from each other. If you are interested feel free to send me an e-mail. I look forward to hearing from you! Terrific blog by the way! Hey! I realize this is somewhat off-topic but I had to ask. Does running a well-established website like yours take a large amount of work? I’m brand new to operating a blog but I do write in my diary daily. I’d like to start a blog so I can easily share my experience and thoughts online. Please let me know if you have any kind of recommendations or tips for new aspiring bloggers. Appreciate it! Howdy! I know this is kinda off topic but I’d figured I’d ask. Would you be interested in trading links or maybe guest authoring a blog article or vice-versa? My website addresses a lot of the same topics as yours and I believe we could greatly benefit from each other. If you happen to be interested feel free to send me an email. I look forward to hearing from you! Great blog by the way! Hey! Quick question that’s completely off topic. Do you know how to make your site mobile friendly? My weblog looks weird when browsing from my iphone 4. I’m trying to find a template or plugin that might be able to resolve this issue. If you have any suggestions, please share. Appreciate it! Hi there! I know this is kinda off topic however , I’d figured I’d ask. Would you be interested in trading links or maybe guest authoring a blog article or vice-versa? My blog goes over a lot of the same topics as yours and I believe we could greatly benefit from each other. If you’re interested feel free to shoot me an e-mail. I look forward to hearing from you! Wonderful blog by the way! Hey there! Someone in my Facebook group shared this site with us so I came to give it a look. I’m definitely enjoying the information. I’m book-marking and will be tweeting this to my followers! Terrific blog and fantastic design and style. Hello! I’ve been reading your site for a while now and finally got the courage to go ahead and give you a shout out from Houston Texas! Just wanted to mention keep up the good work! Wonderful blog you have here but I was curious about if you knew of any community forums that cover the same topics talked about here? I’d really love to be a part of group where I can get feedback from other knowledgeable individuals that share the same interest. If you have any recommendations, please let me know. Bless you! Have you ever considered about including a little bit more than just your articles? I mean, what you say is important and all. However think about if you added some great visuals or video clips to give your posts more, “pop”! Your content is excellent but with images and clips, this site could undeniably be one of the greatest in its field. Very good blog! Hi there would you mind letting me know which hosting company you’re using? I’ve loaded your blog in 3 different web browsers and I must say this blog loads a lot faster then most. Can you suggest a good hosting provider at a fair price? Kudos, I appreciate it! Hi superb blog! Does running a blog similar to this require a massive amount work? I’ve very little understanding of coding but I had been hoping to start my own blog in the near future. Anyhow, if you have any recommendations or techniques for new blog owners please share. I understand this is off topic nevertheless I simply needed to ask. Cheers! Hey outstanding website! Does running a blog like this take a massive amount work? I’ve virtually no knowledge of computer programming however I was hoping to start my own blog in the near future. Anyhow, if you have any ideas or tips for new blog owners please share. I understand this is off topic but I simply wanted to ask. Many thanks! wonderful issues altogether, you simply won a new reader. What could you recommend about your submit that you simply made a few days in the past? Any sure? Thank you a lot for sharing this with all folks you really understand what you’re speaking approximately! Bookmarked. Kindly also talk over with my site =). We may have a link exchange arrangement between us! Hiya, I am really glad I have found this information. Today bloggers publish just about gossips and web and this is actually annoying. A good site with interesting content, this is what I need. Thank you for keeping this web-site, I will be visiting it. Do you do newsletters? Can not find it. Hey would you mind letting me know which web host you’re working with? I’ve loaded your blog in 3 completely different internet browsers and I must say this blog loads a lot quicker then most. Can you suggest a good web hosting provider at a reasonable price? Thanks, I appreciate it! Hey would you mind letting me know which hosting company you’re working with? I’ve loaded your blog in 3 different internet browsers and I must say this blog loads a lot quicker then most. Can you suggest a good web hosting provider at a fair price? Many thanks, I appreciate it! Howdy! This is my 1st comment here so I just wanted to give a quick shout out and tell you I truly enjoy reading your blog posts. Can you recommend any other blogs/websites/forums that deal with the same topics? Thanks a lot! My spouse and I absolutely love your blog and find most of your post’s to be what precisely I’m looking for. Does one offer guest writers to write content to suit your needs? I wouldn’t mind composing a post or elaborating on some of the subjects you write about here. Again, awesome blog! Hello! Quick question that’s completely off topic. Do you know how to make your site mobile friendly? My blog looks weird when viewing from my iphone. I’m trying to find a theme or plugin that might be able to correct this issue. If you have any recommendations, please share. Cheers! Howdy excellent blog! Does running a blog such as this require a lot of work? I’ve no knowledge of computer programming however I had been hoping to start my own blog soon. Anyways, should you have any ideas or tips for new blog owners please share. I know this is off subject however I just had to ask. Kudos! My partner and I stumbled over here by a different web address and thought I might check things out. I like what I see so now i am following you. Look forward to looking over your web page repeatedly. Woah! I’m really digging the template/theme of this website. It’s simple, yet effective. A lot of times it’s challenging to get that “perfect balance” between user friendliness and appearance. I must say you’ve done a very good job with this. Also, the blog loads extremely fast for me on Safari. Outstanding Blog! Hi! This post could not be written any better! Reading this post reminds me of my good old room mate! He always kept chatting about this. I will forward this write-up to him. Pretty sure he will have a good read. Many thanks for sharing! I really like what you guys tend to be up too. This sort of clever work and coverage! Keep up the fantastic works guys I’ve incorporated you guys to my blogroll. Have you ever considered about including a little bit more than just your articles? I mean, what you say is important and everything. Nevertheless think of if you added some great graphics or videos to give your posts more, “pop”! Your content is excellent but with pics and clips, this site could undeniably be one of the best in its field. Great blog! I am curious to find out what blog system you are using? I’m having some minor security issues with my latest site and I would like to find something more safe. Do you have any suggestions? Hi there would you mind letting me know which hosting company you’re utilizing? I’ve loaded your blog in 3 different internet browsers and I must say this blog loads a lot faster then most. Can you suggest a good internet hosting provider at a reasonable price? Thank you, I appreciate it! Dead written subject matter, thank you for entropy. “In the fight between you and the world, back the world.” by Frank Zappa. Hello, Neat post. There’s an issue with your website in web explorer, might check this… IE nonetheless is the market leader and a huge element of other people will omit your magnificent writing due to this problem. Hmm it looks like your blog ate my first comment (it was super long) so I guess I’ll just sum it up what I had written and say, I’m thoroughly enjoying your blog. I too am an aspiring blog blogger but I’m still new to everything. Do you have any points for first-time blog writers? I’d definitely appreciate it. Hey there would you mind sharing which blog platform you’re using? I’m going to start my own blog soon but I’m having a tough time deciding between BlogEngine/Wordpress/B2evolution and Drupal. The reason I ask is because your layout seems different then most blogs and I’m looking for something unique. P.S My apologies for getting off-topic but I had to ask! magnificent issues altogether, you simply gained a emblem new reader. What would you recommend in regards to your post that you made a few days in the past? Any positive? My coder is trying to persuade me to move to .net from PHP. I have always disliked the idea because of the expenses. But he’s tryiong none the less. I’ve been using Movable-type on a variety of websites for about a year and am concerned about switching to another platform. I have heard fantastic things about blogengine.net. Is there a way I can import all my wordpress content into it? Any help would be really appreciated! Valuable information. Fortunate me I found your website by chance, and I am shocked why this accident didn’t took place earlier! I bookmarked it. Comfortable mattress with wool and also true products, and also helped make in the USA. Matches our paired bed structure (no mattress) completely. Normally I don’t learn article on blogs, but I wish to say that this write-up very pressured me to try and do it! Your writing style has been surprised me. Thanks, very nice post. Do you mind if I quote a few of your articles as long as I provide credit and sources back to your site? My blog site is in the exact same niche as yours and my visitors would truly benefit from some of the information you present here. Please let me know if this ok with you. Appreciate it! I enjoy what you guys are usually up too. This type of clever work and coverage! Keep up the very good works guys I’ve incorporated you guys to our blogroll. Helpful information. Lucky me I found your website by accident, and I am shocked why this twist of fate did not happened in advance! I bookmarked it. I simply needed to thank you so much all over again. I am not sure the things I might have worked on without the type of advice provided by you about such area of interest. It absolutely was a real alarming problem for me, nevertheless seeing a skilled form you processed the issue made me to leap with gladness. I’m just happy for the advice and in addition pray you comprehend what a powerful job you have been carrying out teaching the others with the aid of your blog. Most probably you haven’t encountered all of us. With havin so much content do you ever run into any problems of plagorism or copyright infringement? My site has a lot of unique content I’ve either written myself or outsourced but it appears a lot of it is popping it up all over the web without my permission. Do you know any methods to help stop content from being stolen? I’d genuinely appreciate it. I’m still learning from you, while I’m trying to reach my goals. I certainly love reading all that is posted on your site.Keep the tips coming. I enjoyed it! of course like your website but you need to take a look at the spelling on quite a few of your posts. Several of them are rife with spelling issues and I in finding it very troublesome to tell the truth nevertheless I will certainly come again again. I have recently started a web site, the info you provide on this site has helped me tremendously. Thank you for all of your time & work. “So full of artless jealousy is guilt, It spills itself in fearing to be spilt.” by William Shakespeare. I have been browsing online more than three hours nowadays, but I never discovered any fascinating article like yours. It is beautiful value enough for me. In my opinion, if all webmasters and bloggers made excellent content as you probably did, the web shall be a lot more helpful than ever before. “When you are content to be simply yourself and don’t compare or compete, everybody will respect you.” by Lao Tzu. I’ve been browsing online more than three hours lately, yet I by no means found any attention-grabbing article like yours. It is beautiful price enough for me. In my opinion, if all site owners and bloggers made excellent content material as you did, the internet will likely be a lot more helpful than ever before. Hi my loved one! I want to say that this post is awesome, great written and include approximately all significant infos. I’d like to look more posts like this. Simply want to say your article is as amazing. The clearness in your post is just nice and i could assume you are an expert on this subject. Well with your permission allow me to grab your RSS feed to keep updated with forthcoming post. Thanks a million and please keep up the enjoyable work. I have to express my thanks to the writer just for rescuing me from this particular incident. Because of checking throughout the search engines and finding thoughts which were not beneficial, I assumed my entire life was gone. Existing devoid of the strategies to the issues you have fixed all through this review is a serious case, and the ones that would have badly affected my career if I had not noticed the blog. That competence and kindness in touching all the stuff was priceless. I’m not sure what I would have done if I had not come across such a stuff like this. I can at this point look forward to my future. Thanks a lot very much for this high quality and effective help. I will not hesitate to propose the website to anyone who needs and wants guidelines about this subject matter. I must express my passion for your generosity giving support to folks that have the need for assistance with your matter. Your personal dedication to passing the solution all over appears to be particularly productive and has really helped associates just like me to attain their objectives. Your insightful tips and hints can mean a lot a person like me and even further to my peers. Regards; from each one of us. Whats up very nice blog!! Man .. Beautiful .. Superb .. I will bookmark your web site and take the feeds additionally…I’m glad to seek out numerous useful information here in the put up, we need develop extra strategies on this regard, thanks for sharing. Hi there, I discovered your site by way of Google even as searching for a comparable subject, your site got here up, it looks good. I have bookmarked it in my google bookmarks. I precisely wished to say thanks all over again. I do not know the things I would’ve tried without these suggestions documented by you concerning such a problem. Entirely was a frightening scenario in my position, but looking at a new professional approach you dealt with it forced me to jump over gladness. Now i’m happier for this guidance and then hope that you really know what a powerful job you are always undertaking teaching people all through your blog. Probably you’ve never got to know any of us. Howdy! This is my 1st comment here so I just wanted to give a quick shout out and tell you I truly enjoy reading your posts. Can you suggest any other blogs/websites/forums that deal with the same topics? Thanks a lot! Thanks for ones marvelous posting! I actually enjoyed reading it, you are a great author.I will ensure that I bookmark your blog and will come back later on. I want to encourage you to continue your great writing, have a nice afternoon! Hola! I’ve been following your weblog for some time now and finally got the bravery to go ahead and give you a shout out from Porter Texas! Just wanted to say keep up the good work! Hi terrific blog! Does running a blog similar to this take a large amount of work? I have no knowledge of computer programming however I was hoping to start my own blog soon. Anyhow, should you have any recommendations or tips for new blog owners please share. I understand this is off subject nevertheless I simply wanted to ask. Thanks! My developer is trying to convince me to move to .net from PHP. I have always disliked the idea because of the costs. But he’s tryiong none the less. I’ve been using Movable-type on numerous websites for about a year and am concerned about switching to another platform. I have heard great things about blogengine.net. Is there a way I can transfer all my wordpress content into it? Any help would be greatly appreciated! Very good website you have here but I was wanting to know if you knew of any user discussion forums that cover the same topics discussed here? I’d really like to be a part of online community where I can get comments from other experienced people that share the same interest. If you have any suggestions, please let me know. Thanks! I’m curious to find out what blog platform you are utilizing? I’m experiencing some small security issues with my latest blog and I’d like to find something more risk-free. Do you have any recommendations? Hola! I’ve been reading your web site for some time now and finally got the courage to go ahead and give you a shout out from Dallas Tx! Just wanted to tell you keep up the fantastic work! With havin so much content do you ever run into any problems of plagorism or copyright violation? My blog has a lot of unique content I’ve either written myself or outsourced but it appears a lot of it is popping it up all over the web without my permission. Do you know any techniques to help reduce content from being stolen? I’d really appreciate it. Some truly nice and useful information on this web site, likewise I conceive the design and style has got great features. Hmm it looks like your website ate my first comment (it was super long) so I guess I’ll just sum it up what I wrote and say, I’m thoroughly enjoying your blog. I as well am an aspiring blog writer but I’m still new to everything. Do you have any helpful hints for inexperienced blog writers? I’d really appreciate it. Hey there! I know this is somewhat off-topic but I needed to ask. Does operating a well-established website such as yours take a massive amount work? I am brand new to writing a blog however I do write in my diary everyday. I’d like to start a blog so I can share my experience and feelings online. Please let me know if you have any ideas or tips for new aspiring bloggers. Thankyou! Howdy fantastic website! Does running a blog such as this take a lot of work? I have no knowledge of computer programming however I had been hoping to start my own blog in the near future. Anyway, should you have any recommendations or techniques for new blog owners please share. I know this is off topic nevertheless I simply wanted to ask. Thank you! First off I want to say terrific blog! I had a quick question in which I’d like to ask if you don’t mind. I was curious to find out how you center yourself and clear your head before writing. I’ve had a difficult time clearing my thoughts in getting my ideas out there. I do enjoy writing however it just seems like the first 10 to 15 minutes tend to be wasted simply just trying to figure out how to begin. Any suggestions or hints? Cheers! Heya! I know this is somewhat off-topic however I needed to ask. Does managing a well-established blog like yours take a massive amount work? I am brand new to writing a blog but I do write in my diary every day. I’d like to start a blog so I can easily share my personal experience and thoughts online. Please let me know if you have any suggestions or tips for brand new aspiring bloggers. Appreciate it! Do you have a spam issue on this website; I also am a blogger, and I was wondering your situation; we have created some nice practices and we are looking to trade strategies with other folks, please shoot me an e-mail if interested. Woah! I’m really digging the template/theme of this site. It’s simple, yet effective. A lot of times it’s very difficult to get that “perfect balance” between user friendliness and visual appearance. I must say you’ve done a amazing job with this. In addition, the blog loads extremely fast for me on Internet explorer. Excellent Blog! Howdy superb blog! Does running a blog like this take a great deal of work? I’ve absolutely no knowledge of coding however I was hoping to start my own blog soon. Anyways, should you have any recommendations or techniques for new blog owners please share. I understand this is off topic but I just had to ask. Many thanks! We stumbled over here different page and thought I might as well check things out. I like what I see so now i am following you. Look forward to looking at your web page yet again. My partner and I stumbled over here coming from a different web page and thought I should check things out. I like what I see so now i’m following you. Look forward to going over your web page again. Do you have a spam issue on this blog; I also am a blogger, and I was curious about your situation; we have created some nice procedures and we are looking to exchange techniques with other folks, why not shoot me an email if interested. Thanks for a marvelous posting! I truly enjoyed reading it, you happen to be a great author.I will always bookmark your blog and definitely will come back later in life. I want to encourage you to ultimately continue your great job, have a nice weekend! Hiya! I know this is kinda off topic however , I’d figured I’d ask. Would you be interested in trading links or maybe guest writing a blog post or vice-versa? My site discusses a lot of the same topics as yours and I feel we could greatly benefit from each other. If you might be interested feel free to send me an e-mail. I look forward to hearing from you! Awesome blog by the way! Hey there! I could have sworn I’ve been to this blog before but after checking through some of the post I realized it’s new to me. Anyways, I’m definitely glad I found it and I’ll be bookmarking and checking back frequently! Hello there I am so glad I found your weblog, I really found you by accident, while I was researching on Yahoo for something else, Anyhow I am here now and would just like to say thank you for a tremendous post and a all round entertaining blog (I also love the theme/design), I don’t have time to read through it all at the moment but I have saved it and also included your RSS feeds, so when I have time I will be back to read a great deal more, Please do keep up the excellent job. My partner and I stumbled over here coming from a different web page and thought I might check things out. I like what I see so now i’m following you. Look forward to checking out your web page for a second time. Hey there! I’ve been following your website for some time now and finally got the bravery to go ahead and give you a shout out from Austin Texas! Just wanted to mention keep up the excellent job! Do you have a spam issue on this blog; I also am a blogger, and I was wondering your situation; we have created some nice methods and we are looking to trade solutions with other folks, be sure to shoot me an email if interested. naturally like your web site however you need to check the spelling on quite a few of your posts. Several of them are rife with spelling issues and I to find it very troublesome to tell the reality then again I will surely come again again. Hmm it seems like your blog ate my first comment (it was extremely long) so I guess I’ll just sum it up what I wrote and say, I’m thoroughly enjoying your blog. I as well am an aspiring blog writer but I’m still new to the whole thing. Do you have any recommendations for inexperienced blog writers? I’d really appreciate it. Hi there would you mind sharing which blog platform you’re working with? I’m looking to start my own blog in the near future but I’m having a tough time selecting between BlogEngine/Wordpress/B2evolution and Drupal. The reason I ask is because your layout seems different then most blogs and I’m looking for something completely unique. P.S Sorry for getting off-topic but I had to ask! I’m really loving the theme/design of your web site. Do you ever run into any web browser compatibility issues? A number of my blog visitors have complained about my site not operating correctly in Explorer but looks great in Opera. Do you have any tips to help fix this problem? I’m curious to find out what blog system you’re working with? I’m having some minor security issues with my latest site and I would like to find something more safe. Do you have any recommendations? Good day! I know this is kinda off topic nevertheless I’d figured I’d ask. Would you be interested in exchanging links or maybe guest writing a blog article or vice-versa? My blog covers a lot of the same topics as yours and I feel we could greatly benefit from each other. If you might be interested feel free to send me an email. I look forward to hearing from you! Excellent blog by the way! Hmm it appears like your blog ate my first comment (it was super long) so I guess I’ll just sum it up what I submitted and say, I’m thoroughly enjoying your blog. I too am an aspiring blog blogger but I’m still new to everything. Do you have any tips for first-time blog writers? I’d definitely appreciate it. Hello! Someone in my Myspace group shared this website with us so I came to look it over. I’m definitely enjoying the information. I’m bookmarking and will be tweeting this to my followers! Superb blog and amazing design. Howdy! I know this is kinda off topic however I’d figured I’d ask. Would you be interested in exchanging links or maybe guest authoring a blog post or vice-versa? My site covers a lot of the same subjects as yours and I feel we could greatly benefit from each other. If you happen to be interested feel free to send me an email. I look forward to hearing from you! Wonderful blog by the way! Greetings from Los angeles! I’m bored to tears at work so I decided to browse your website on my iphone during lunch break. I enjoy the info you present here and can’t wait to take a look when I get home. I’m amazed at how fast your blog loaded on my phone .. I’m not even using WIFI, just 3G .. Anyhow, good site! Howdy would you mind letting me know which webhost you’re using? I’ve loaded your blog in 3 different web browsers and I must say this blog loads a lot faster then most. Can you suggest a good hosting provider at a fair price? Many thanks, I appreciate it! I’m really enjoying the theme/design of your web site. Do you ever run into any browser compatibility problems? A couple of my blog audience have complained about my site not working correctly in Explorer but looks great in Opera. Do you have any ideas to help fix this problem? I’m curious to find out what blog system you happen to be utilizing? I’m experiencing some small security problems with my latest blog and I’d like to find something more secure. Do you have any suggestions? We absolutely love your blog and find most of your post’s to be just what I’m looking for. Do you offer guest writers to write content in your case? I wouldn’t mind composing a post or elaborating on a number of the subjects you write concerning here. Again, awesome weblog! Do you have a spam problem on this blog; I also am a blogger, and I was curious about your situation; many of us have created some nice practices and we are looking to trade techniques with others, why not shoot me an e-mail if interested. Hi there! I know this is kinda off topic however I’d figured I’d ask. Would you be interested in exchanging links or maybe guest writing a blog post or vice-versa? My website discusses a lot of the same topics as yours and I think we could greatly benefit from each other. If you are interested feel free to send me an email. I look forward to hearing from you! Great blog by the way! Hmm it appears like your website ate my first comment (it was super long) so I guess I’ll just sum it up what I had written and say, I’m thoroughly enjoying your blog. I too am an aspiring blog blogger but I’m still new to the whole thing. Do you have any points for rookie blog writers? I’d definitely appreciate it. Woah! I’m really enjoying the template/theme of this website. It’s simple, yet effective. A lot of times it’s very difficult to get that “perfect balance” between usability and appearance. I must say that you’ve done a amazing job with this. Also, the blog loads extremely fast for me on Internet explorer. Outstanding Blog! Hi there, i read your blog occasionally and i own a similar one and i was just curious if you get a lot of spam responses? If so how do you protect against it, any plugin or anything you can advise? I get so much lately it’s driving me insane so any assistance is very much appreciated. Greetings! Quick question that’s completely off topic. Do you know how to make your site mobile friendly? My web site looks weird when browsing from my iphone4. I’m trying to find a theme or plugin that might be able to correct this problem. If you have any suggestions, please share. With thanks! Greetings! Quick question that’s totally off topic. Do you know how to make your site mobile friendly? My weblog looks weird when browsing from my apple iphone. I’m trying to find a template or plugin that might be able to correct this problem. If you have any suggestions, please share. Cheers! Please let me know if you’re looking for a article writer for your blog. You have some really great posts and I think I would be a good asset. If you ever want to take some of the load off, I’d absolutely love to write some articles for your blog in exchange for a link back to mine. Please shoot me an email if interested. Many thanks! Everyone loves what you guys are up too. Such clever work and coverage! Keep up the wonderful works guys I’ve you guys to my own blogroll. Hey there! I know this is kind of off-topic but I had to ask. Does running a well-established blog like yours require a lot of work? I’m completely new to blogging but I do write in my diary daily. I’d like to start a blog so I can easily share my personal experience and feelings online. Please let me know if you have any kind of suggestions or tips for brand new aspiring bloggers. Thankyou! First off I want to say awesome blog! I had a quick question that I’d like to ask if you do not mind. I was curious to find out how you center yourself and clear your head before writing. I have had a tough time clearing my thoughts in getting my thoughts out. I do take pleasure in writing but it just seems like the first 10 to 15 minutes are generally wasted just trying to figure out how to begin. Any recommendations or hints? Thank you! Howdy I am so grateful I found your webpage, I really found you by error, while I was searching on Google for something else, Anyhow I am here now and would just like to say many thanks for a incredible post and a all round thrilling blog (I also love the theme/design), I don’t have time to read through it all at the minute but I have book-marked it and also added in your RSS feeds, so when I have time I will be back to read much more, Please do keep up the excellent work. If you’re in the market for a new mattress, do yourself a favor and also receive this one. This is a wonderful bedroom! With havin so much content do you ever run into any issues of plagorism or copyright infringement? My blog has a lot of completely unique content I’ve either created myself or outsourced but it seems a lot of it is popping it up all over the internet without my agreement. Do you know any solutions to help stop content from being ripped off? I’d definitely appreciate it. Hello! Someone in my Facebook group shared this website with us so I came to take a look. I’m definitely enjoying the information. I’m book-marking and will be tweeting this to my followers! Great blog and great style and design. Howdy, i read your blog from time to time and i own a similar one and i was just wondering if you get a lot of spam responses? If so how do you prevent it, any plugin or anything you can recommend? I get so much lately it’s driving me mad so any assistance is very much appreciated. Do you mind if I quote a couple of your articles as long as I provide credit and sources back to your webpage? My website is in the exact same niche as yours and my users would genuinely benefit from some of the information you provide here. Please let me know if this ok with you. Thanks a lot! With havin so much content do you ever run into any issues of plagorism or copyright infringement? My website has a lot of completely unique content I’ve either authored myself or outsourced but it seems a lot of it is popping it up all over the internet without my permission. Do you know any techniques to help reduce content from being stolen? I’d certainly appreciate it. Heya! I know this is kind of off-topic but I needed to ask. Does managing a well-established website like yours require a lot of work? I am completely new to running a blog however I do write in my diary everyday. I’d like to start a blog so I can easily share my experience and views online. Please let me know if you have any kind of suggestions or tips for brand new aspiring bloggers. Appreciate it! With havin so much written content do you ever run into any issues of plagorism or copyright infringement? My site has a lot of completely unique content I’ve either created myself or outsourced but it appears a lot of it is popping it up all over the web without my authorization. Do you know any techniques to help protect against content from being stolen? I’d genuinely appreciate it. Hmm it seems like your blog ate my first comment (it was super long) so I guess I’ll just sum it up what I submitted and say, I’m thoroughly enjoying your blog. I too am an aspiring blog blogger but I’m still new to everything. Do you have any tips for beginner blog writers? I’d definitely appreciate it. Have you ever thought about publishing an ebook or guest authoring on other websites? I have a blog based upon on the same topics you discuss and would really like to have you share some stories/information. I know my audience would appreciate your work. If you’re even remotely interested, feel free to shoot me an e mail. Hello would you mind stating which blog platform you’re working with? I’m planning to start my own blog in the near future but I’m having a tough time deciding between BlogEngine/Wordpress/B2evolution and Drupal. The reason I ask is because your design and style seems different then most blogs and I’m looking for something completely unique. P.S Sorry for being off-topic but I had to ask! First off I would like to say excellent blog! I had a quick question that I’d like to ask if you do not mind. I was interested to find out how you center yourself and clear your thoughts prior to writing. I have had a difficult time clearing my thoughts in getting my ideas out there. I do take pleasure in writing but it just seems like the first 10 to 15 minutes are usually lost just trying to figure out how to begin. Any suggestions or tips? Many thanks! Have you ever considered writing an e-book or guest authoring on other sites? I have a blog based upon on the same ideas you discuss and would really like to have you share some stories/information. I know my visitors would appreciate your work. If you are even remotely interested, feel free to send me an email. First of all I would like to say terrific blog! I had a quick question in which I’d like to ask if you don’t mind. I was curious to find out how you center yourself and clear your head before writing. I’ve had a tough time clearing my mind in getting my ideas out there. I do take pleasure in writing but it just seems like the first 10 to 15 minutes are generally lost simply just trying to figure out how to begin. Any suggestions or hints? Thanks! Woah! I’m really digging the template/theme of this website. It’s simple, yet effective. A lot of times it’s very difficult to get that “perfect balance” between user friendliness and visual appearance. I must say you’ve done a excellent job with this. In addition, the blog loads extremely fast for me on Safari. Exceptional Blog! Do you have a spam problem on this site; I also am a blogger, and I was wanting to know your situation; we have developed some nice practices and we are looking to swap techniques with others, why not shoot me an email if interested. Thanks for the marvelous posting! I certainly enjoyed reading it, you may be a great author.I will always bookmark your blog and will often come back later on. I want to encourage one to continue your great work, have a nice weekend! Do you mind if I quote a few of your articles as long as I provide credit and sources back to your weblog? My blog is in the very same area of interest as yours and my users would definitely benefit from a lot of the information you present here. Please let me know if this ok with you. Thanks a lot! Hey there I am so thrilled I found your website, I really found you by accident, while I was looking on Bing for something else, Nonetheless I am here now and would just like to say thanks for a fantastic post and a all round exciting blog (I also love the theme/design), I don’t have time to look over it all at the moment but I have bookmarked it and also added your RSS feeds, so when I have time I will be back to read much more, Please do keep up the superb work. Hey there! I know this is kinda off topic nevertheless I’d figured I’d ask. Would you be interested in exchanging links or maybe guest writing a blog article or vice-versa? My blog goes over a lot of the same subjects as yours and I feel we could greatly benefit from each other. If you might be interested feel free to shoot me an e-mail. I look forward to hearing from you! Fantastic blog by the way! Greetings from Florida! I’m bored to tears at work so I decided to check out your website on my iphone during lunch break. I really like the information you present here and can’t wait to take a look when I get home. I’m amazed at how quick your blog loaded on my mobile .. I’m not even using WIFI, just 3G .. Anyhow, excellent site! Greetings! I know this is kinda off topic however , I’d figured I’d ask. Would you be interested in trading links or maybe guest authoring a blog post or vice-versa? My blog discusses a lot of the same topics as yours and I feel we could greatly benefit from each other. If you might be interested feel free to shoot me an e-mail. I look forward to hearing from you! Awesome blog by the way! Appreciating the commitment you put into your blog and detailed information you offer. It’s great to come across a blog every once in a while that isn’t the same outdated rehashed information. Fantastic read! I’ve saved your site and I’m including your RSS feeds to my Google account. Hey! Someone in my Myspace group shared this website with us so I came to look it over. I’m definitely enjoying the information. I’m book-marking and will be tweeting this to my followers! Excellent blog and amazing design and style. Greetings from Colorado! I’m bored at work so I decided to check out your blog on my iphone during lunch break. I love the info you present here and can’t wait to take a look when I get home. I’m surprised at how fast your blog loaded on my mobile .. I’m not even using WIFI, just 3G .. Anyways, amazing blog! Great blog! Do you have any recommendations for aspiring writers? I’m hoping to start my own website soon but I’m a little lost on everything. Would you suggest starting with a free platform like WordPress or go for a paid option? There are so many options out there that I’m totally overwhelmed .. Any recommendations? Kudos! We stumbled over here different page and thought I might check things out. I like what I see so now i’m following you. Look forward to finding out about your web page again. I together with my pals came going through the good thoughts located on your web blog and then the sudden came up with a horrible suspicion I never thanked the site owner for those secrets. Those young boys were definitely as a consequence joyful to study all of them and already have honestly been taking pleasure in these things. Thanks for truly being simply accommodating as well as for obtaining variety of fabulous subject matter millions of individuals are really desirous to understand about. My sincere apologies for not saying thanks to you earlier. I believe that that was a reasonably easy prepared up I had the ability to put this on her new bedroom frame and also rip available the plastic. Have you ever considered publishing an ebook or guest authoring on other websites? I have a blog based upon on the same information you discuss and would love to have you share some stories/information. I know my readers would appreciate your work. If you are even remotely interested, feel free to shoot me an email. Great site you have here but I was wanting to know if you knew of any user discussion forums that cover the same topics talked about here? I’d really like to be a part of online community where I can get feed-back from other experienced people that share the same interest. If you have any recommendations, please let me know. Many thanks! Awesome blog! Do you have any hints for aspiring writers? I’m planning to start my own website soon but I’m a little lost on everything. Would you recommend starting with a free platform like WordPress or go for a paid option? There are so many choices out there that I’m completely overwhelmed .. Any suggestions? Thank you! Hey there would you mind stating which blog platform you’re working with? I’m planning to start my own blog soon but I’m having a hard time choosing between BlogEngine/Wordpress/B2evolution and Drupal. The reason I ask is because your layout seems different then most blogs and I’m looking for something unique. P.S Apologies for being off-topic but I had to ask! First of all I want to say terrific blog! I had a quick question that I’d like to ask if you don’t mind. I was interested to find out how you center yourself and clear your thoughts prior to writing. I’ve had difficulty clearing my thoughts in getting my thoughts out. I truly do enjoy writing however it just seems like the first 10 to 15 minutes are generally wasted simply just trying to figure out how to begin. Any ideas or tips? Thank you! I’m really loving the theme/design of your website. Do you ever run into any browser compatibility issues? A few of my blog readers have complained about my website not operating correctly in Explorer but looks great in Chrome. Do you have any tips to help fix this issue? Great website you have here but I was curious about if you knew of any forums that cover the same topics talked about in this article? I’d really love to be a part of community where I can get opinions from other knowledgeable people that share the same interest. If you have any recommendations, please let me know. Bless you! Greetings I am so delighted I found your site, I really found you by error, while I was researching on Aol for something else, Anyways I am here now and would just like to say many thanks for a incredible post and a all round enjoyable blog (I also love the theme/design), I don’t have time to read through it all at the moment but I have bookmarked it and also added in your RSS feeds, so when I have time I will be back to read a lot more, Please do keep up the great job. I absolutely love your blog and find almost all of your post’s to be precisely what I’m looking for. Do you offer guest writers to write content to suit your needs? I wouldn’t mind publishing a post or elaborating on most of the subjects you write concerning here. Again, awesome web site! He performs not want the region had totally along with a bedroom when I explore my kid he has an area that he keeps his music devices in; for that reason. Admiring the persistence you put into your site and in depth information you present. It’s nice to come across a blog every once in a while that isn’t the same out of date rehashed information. Great read! I’ve bookmarked your site and I’m adding your RSS feeds to my Google account. Modify after nearly 2 years: Mattress is actually still storing up wonderful. Excellent buy for a mattress without awful chemicals. That is really comfortable and also appears to be actually well created. Hello! I’ve been reading your web site for a while now and finally got the courage to go ahead and give you a shout out from Dallas Texas! Just wanted to tell you keep up the fantastic job! Hi there! I know this is kinda off topic nevertheless I’d figured I’d ask. Would you be interested in exchanging links or maybe guest writing a blog post or vice-versa? My site discusses a lot of the same topics as yours and I feel we could greatly benefit from each other. If you are interested feel free to shoot me an e-mail. I look forward to hearing from you! Great blog by the way! Hi there! This is my 1st comment here so I just wanted to give a quick shout out and tell you I really enjoy reading your posts. Can you recommend any other blogs/websites/forums that cover the same subjects? Thanks! My developer is trying to convince me to move to .net from PHP. I have always disliked the idea because of the expenses. But he’s tryiong none the less. I’ve been using Movable-type on numerous websites for about a year and am nervous about switching to another platform. I have heard excellent things about blogengine.net. Is there a way I can import all my wordpress content into it? Any help would be greatly appreciated! It is truly a great and useful piece of information. I am satisfied that you just shared this helpful information with us. Please stay us up to date like this. Thank you for sharing. My spouse and I stumbled over here by a different web address and thought I might as well check things out. I like what I see so now i am following you. Look forward to looking over your web page for a second time. Hi fantastic website! Does running a blog like this take a lot of work? I’ve virtually no understanding of programming however I was hoping to start my own blog in the near future. Anyways, if you have any ideas or tips for new blog owners please share. I understand this is off subject but I simply needed to ask. Thanks! Hello there! Quick question that’s completely off topic. Do you know how to make your site mobile friendly? My web site looks weird when viewing from my apple iphone. I’m trying to find a template or plugin that might be able to fix this issue. If you have any recommendations, please share. Appreciate it! Howdy! I understand this is somewhat off-topic but I needed to ask. Does operating a well-established website such as yours take a lot of work? I’m completely new to blogging however I do write in my diary everyday. I’d like to start a blog so I will be able to share my personal experience and views online. Please let me know if you have any kind of recommendations or tips for brand new aspiring blog owners. Thankyou! Hello I am so excited I found your website, I really found you by mistake, while I was searching on Bing for something else, Regardless I am here now and would just like to say thanks a lot for a fantastic post and a all round exciting blog (I also love the theme/design), I don’t have time to go through it all at the moment but I have bookmarked it and also added in your RSS feeds, so when I have time I will be back to read a great deal more, Please do keep up the awesome job. Have you ever considered about including a little bit more than just your articles? I mean, what you say is important and everything. But think about if you added some great graphics or video clips to give your posts more, “pop”! Your content is excellent but with images and clips, this site could undeniably be one of the very best in its field. Good blog! Please let me know if you’re looking for a article writer for your site. You have some really great posts and I think I would be a good asset. If you ever want to take some of the load off, I’d really like to write some content for your blog in exchange for a link back to mine. Please send me an e-mail if interested. Thank you! Hello would you mind stating which blog platform you’re working with? I’m looking to start my own blog soon but I’m having a tough time choosing between BlogEngine/Wordpress/B2evolution and Drupal. The reason I ask is because your design and style seems different then most blogs and I’m looking for something unique. P.S Apologies for getting off-topic but I had to ask! My spouse and I absolutely love your blog and find most of your post’s to be precisely what I’m looking for. Do you offer guest writers to write content for you personally? I wouldn’t mind publishing a post or elaborating on some of the subjects you write related to here. Again, awesome web site! Hmm it seems like your website ate my first comment (it was extremely long) so I guess I’ll just sum it up what I wrote and say, I’m thoroughly enjoying your blog. I as well am an aspiring blog blogger but I’m still new to the whole thing. Do you have any suggestions for newbie blog writers? I’d certainly appreciate it. Have you ever considered about adding a little bit more than just your articles? I mean, what you say is fundamental and all. However think about if you added some great visuals or videos to give your posts more, “pop”! Your content is excellent but with pics and clips, this site could definitely be one of the best in its field. Wonderful blog! Hey I am so thrilled I found your webpage, I really found you by mistake, while I was browsing on Digg for something else, Nonetheless I am here now and would just like to say many thanks for a tremendous post and a all round enjoyable blog (I also love the theme/design), I don’t have time to go through it all at the moment but I have bookmarked it and also added in your RSS feeds, so when I have time I will be back to read much more, Please do keep up the awesome work. Hiya, I’m really glad I have found this info. Nowadays bloggers publish only about gossips and web and this is actually annoying. A good website with exciting content, that is what I need. Thanks for keeping this web-site, I will be visiting it. Do you do newsletters? Cant find it. Hey! Quick question that’s completely off topic. Do you know how to make your site mobile friendly? My web site looks weird when browsing from my apple iphone. I’m trying to find a template or plugin that might be able to fix this issue. If you have any suggestions, please share. Appreciate it! Hey! This is my first comment here so I just wanted to give a quick shout out and say I genuinely enjoy reading your articles. Can you suggest any other blogs/websites/forums that cover the same topics? Thanks a lot! Thanks a lot for giving everyone a very marvellous possiblity to discover important secrets from this website. It’s always very enjoyable plus stuffed with a lot of fun for me personally and my office fellow workers to visit your web site not less than 3 times a week to read the latest tips you will have. And of course, I’m also actually fascinated with all the extraordinary information you give. Certain 4 areas in this article are indeed the best I have had. Hi there I am so excited I found your blog page, I really found you by mistake, while I was researching on Google for something else, Anyways I am here now and would just like to say many thanks for a remarkable post and a all round interesting blog (I also love the theme/design), I don’t have time to read it all at the minute but I have bookmarked it and also included your RSS feeds, so when I have time I will be back to read much more, Please do keep up the fantastic job. I’m curious to find out what blog platform you’re working with? I’m experiencing some minor security issues with my latest blog and I would like to find something more risk-free. Do you have any solutions? Do you mind if I quote a few of your articles as long as I provide credit and sources back to your weblog? My blog is in the very same area of interest as yours and my visitors would definitely benefit from some of the information you provide here. Please let me know if this ok with you. Many thanks! I really like what you guys tend to be up too. This sort of clever work and reporting! Keep up the terrific works guys I’ve included you guys to our blogroll. I am really loving the theme/design of your blog. Do you ever run into any web browser compatibility problems? A few of my blog readers have complained about my website not working correctly in Explorer but looks great in Safari. Do you have any suggestions to help fix this issue? Do you mind if I quote a few of your articles as long as I provide credit and sources back to your weblog? My blog is in the very same niche as yours and my visitors would definitely benefit from some of the information you present here. Please let me know if this alright with you. Thank you! Good day very cool website!! Man .. Beautiful .. Wonderful .. I will bookmark your web site and take the feeds additionally¡KI’m glad to seek out a lot of useful info right here within the submit, we’d like work out more techniques on this regard, thanks for sharing. . . . . .
With havin so much written content do you ever run into any issues of plagorism or copyright infringement? My website has a lot of exclusive content I’ve either written myself or outsourced but it appears a lot of it is popping it up all over the internet without my permission. Do you know any solutions to help protect against content from being ripped off? I’d truly appreciate it. Fantastic website you have here but I was curious about if you knew of any message boards that cover the same topics talked about here? I’d really like to be a part of group where I can get comments from other experienced individuals that share the same interest. If you have any recommendations, please let me know. Many thanks! Hey there! Quick question that’s completely off topic. Do you know how to make your site mobile friendly? My site looks weird when browsing from my apple iphone. I’m trying to find a theme or plugin that might be able to correct this issue. If you have any suggestions, please share. With thanks! Heya! I realize this is somewhat off-topic however I needed to ask. Does running a well-established website such as yours take a large amount of work? I’m brand new to operating a blog however I do write in my diary everyday. I’d like to start a blog so I can share my experience and feelings online. Please let me know if you have any kind of suggestions or tips for new aspiring blog owners. Appreciate it! Admiring the time and energy you put into your site and in depth information you offer. It’s nice to come across a blog every once in a while that isn’t the same unwanted rehashed material. Wonderful read! I’ve saved your site and I’m including your RSS feeds to my Google account. Hello! I’ve been reading your website for some time now and finally got the courage to go ahead and give you a shout out from Porter Texas! Just wanted to mention keep up the great work! Hmm it seems like your blog ate my first comment (it was extremely long) so I guess I’ll just sum it up what I had written and say, I’m thoroughly enjoying your blog. I as well am an aspiring blog writer but I’m still new to the whole thing. Do you have any points for novice blog writers? I’d genuinely appreciate it. Thanks for the marvelous posting! I truly enjoyed reading it, you may be a great author.I will remember to bookmark your blog and will often come back in the foreseeable future. I want to encourage you to continue your great posts, have a nice weekend! Woah! I’m really enjoying the template/theme of this blog. It’s simple, yet effective. A lot of times it’s difficult to get that “perfect balance” between user friendliness and appearance. I must say you have done a fantastic job with this. Also, the blog loads very quick for me on Firefox. Excellent Blog! Hello! I know this is kinda off topic however , I’d figured I’d ask. Would you be interested in exchanging links or maybe guest authoring a blog post or vice-versa? My blog covers a lot of the same subjects as yours and I feel we could greatly benefit from each other. If you are interested feel free to shoot me an e-mail. I look forward to hearing from you! Terrific blog by the way! Hello! This is my 1st comment here so I just wanted to give a quick shout out and say I really enjoy reading through your blog posts. Can you suggest any other blogs/websites/forums that go over the same topics? Appreciate it! First of all I would like to say excellent blog! I had a quick question that I’d like to ask if you do not mind. I was curious to find out how you center yourself and clear your mind prior to writing. I have had a hard time clearing my mind in getting my ideas out. I truly do enjoy writing but it just seems like the first 10 to 15 minutes are usually wasted just trying to figure out how to begin. Any recommendations or hints? Thanks! Hey! Quick question that’s totally off topic. Do you know how to make your site mobile friendly? My website looks weird when viewing from my iphone4. I’m trying to find a template or plugin that might be able to correct this issue. If you have any recommendations, please share. Cheers! Please let me know if you’re looking for a article author for your site. You have some really good posts and I think I would be a good asset. If you ever want to take some of the load off, I’d absolutely love to write some articles for your blog in exchange for a link back to mine. Please shoot me an e-mail if interested. Many thanks! My spouse and I stumbled over here coming from a different web address and thought I might check things out. I like what I see so i am just following you. Look forward to looking over your web page yet again. Various other assessments point out the edges are actually sloped descending as well as that is true. Our experts have certainly not had any sort of issues along with spinning off because of this. Great awesome issues here. I am very glad to look your article. Thank you a lot and i am having a look forward to contact you. Will you kindly drop me a e-mail? Thanks for a marvelous posting! I genuinely enjoyed reading it, you happen to be a great author.I will be sure to bookmark your blog and will come back from now on. I want to encourage one to continue your great work, have a nice evening! I have to express my gratitude for your kindness in support of all those that really need help with the concern. Your special dedication to passing the message along appeared to be wonderfully informative and has consistently helped ladies just like me to achieve their endeavors. The helpful tutorial denotes much a person like me and substantially more to my office workers. Many thanks; from each one of us. Hi there! This is my first comment here so I just wanted to give a quick shout out and tell you I truly enjoy reading through your posts. Can you recommend any other blogs/websites/forums that go over the same topics? Thanks! Do you mind if I quote a few of your articles as long as I provide credit and sources back to your webpage? My website is in the exact same area of interest as yours and my visitors would definitely benefit from a lot of the information you provide here. Please let me know if this ok with you. Many thanks! My partner and I absolutely love your blog and find nearly all of your post’s to be exactly what I’m looking for. can you offer guest writers to write content for you personally? I wouldn’t mind writing a post or elaborating on a few of the subjects you write related to here. Again, awesome web log!